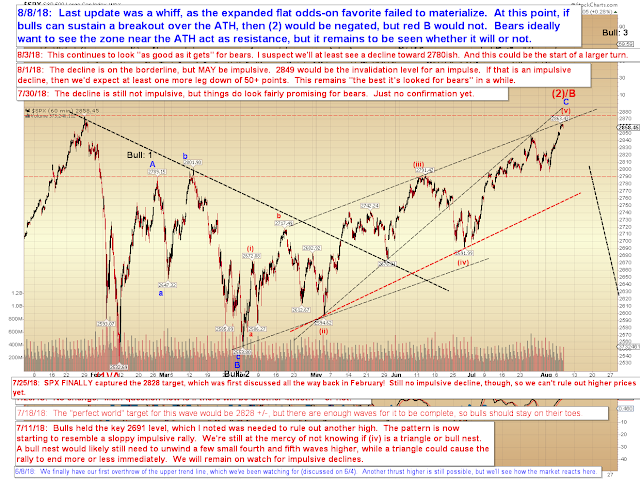 Last update, we looked at the potential expanded flat pattern in SPX, and despite being roughly a 75% favorite, that pattern has thus far failed to materialize. 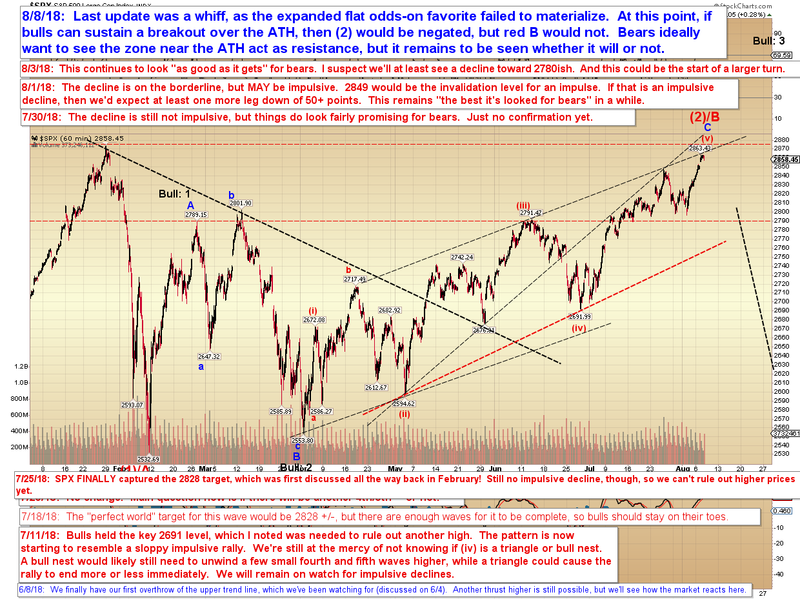 It's not entirely off the table yet, but if it materializes now, there's some danger for bears that the top might be a b-wave. We'll burn that bridge if we come to it. The market can certainly run a bit higher if it wants, and I've seen many extended fifth retraces nearly-perfectly tag the prior high before reversing. In this case, that would be the all-time high, if the market chooses to go that route. Of course, whether the ATH will act as resistance or not is yet unknown. In conclusion, we're getting into "do or die" territory for bears, but we're not going to put the cart before the horse yet... we'll just have to see how the market reacts here. Trade safe.